Sleep is a very important element in restoring energy and magnetism levels. At night, time does not stop, but the beneficial waves repair and slow down ageing, regenerating both the nervous system and psyche. Le Crème Anti-Temps works to gently and thoroughly regenerates skin by allowing cutaneous cells to rest in view of improved renewal activity. 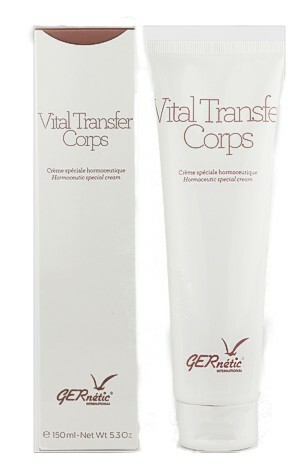 An effective high comfort product to remain young, inhibiting the ageing process and reclaiming a few years in the race against time. Presented in an elegant glass container (50 ml). Biological compound with phytosterols, phospholipids and vitamins A, D and E.
One tripeptide, glycine-hystidine-lysine, a fragment of the collagen chain. One active compound that stimulates fibroblast activity and mitochondrial respiration. One anti-free radical element acting on the phosphocreatine precursors. One complex of essential amino-acids. Peptides, mineral salts and vitamin B3. Evening primrose oil rich in gamma-linoleic acid and liposoluble vitamins A, D and E.
In the evening, apply a small amount to the whole face and neck. 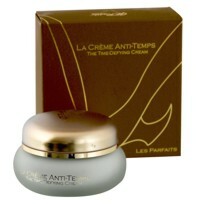 La Crème Anti-Temps can be used by itself or in conjunction with Concentré Réparateur.